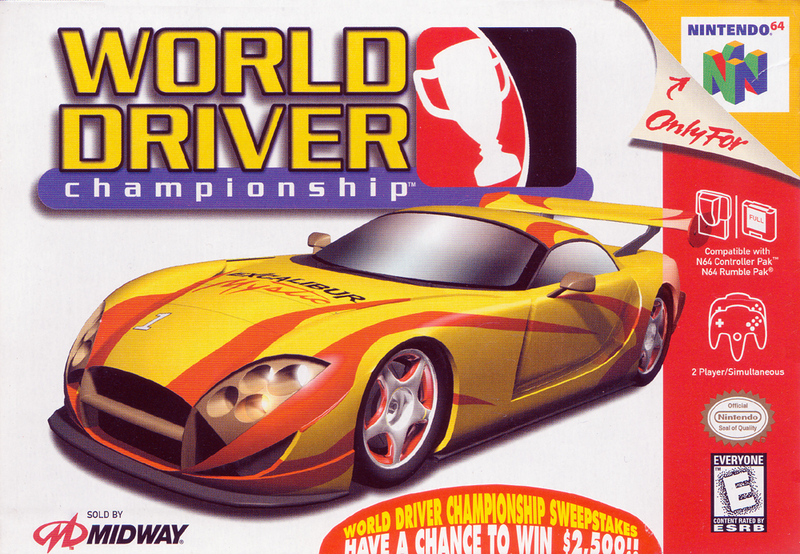 Краткое описание: One of the last racing simulations to be released for Nintendo 64, this graphically intensive title used custom microcode optimization and high polygon count modelling. The development team was able to optimize the usage of the various processors within the N64 to allow far draw distance (reducing the need for fog or pop-up), high detail texturing and models, Doppler effect audio, and advanced lighting and fog effects for realistic weather conditions. Impressively the game has a high resolution 640x480 mode that does not require the add-on N64 RAM Expansion Pak. Additionally, unlike many other games of its type on the platform, the game runs high resolution at a sufficiently playable pace, undoubtedly due to the use of a reduced screen area letterbox mode that lessens the number of pixels needing to be displayed. 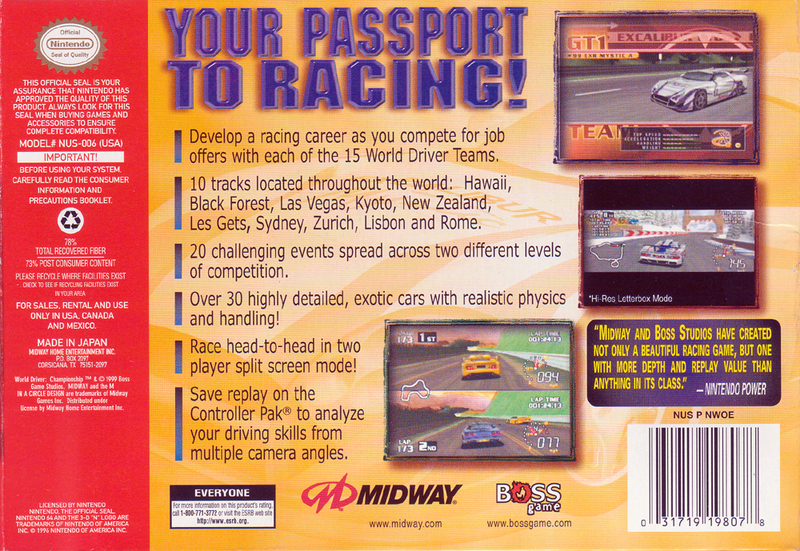 One of the last racing simulations to be released for Nintendo 64, this graphically intensive title used custom microcode optimization and high polygon count modelling. The development team was able to optimize the usage of the various processors within the N64 to allow far draw distance (reducing the need for fog or pop-up), high detail texturing and models, Doppler effect audio, and advanced lighting and fog effects for realistic weather conditions. Impressively the game has a high resolution 640x480 mode that does not require the add-on N64 RAM Expansion Pak. Additionally, unlike many other games of its type on the platform, the game runs high resolution at a sufficiently playable pace, undoubtedly due to the use of a reduced screen area letterbox mode that lessens the number of pixels needing to be displayed.